Explore some of the History of Hydrogen by learning what past and present people have been discovering. It appears that the first discovery of hydrogen gas can be attributed to Swiss Alchemist Philippus Aureolus Paracelsus in 1520, around the 16th century. He first described a gaseous substance arising as iron was dissolved in sulfuric acid. He described this substance as "an air which bursts forth like the wind". Van Helmot observed this gas to be some type of air. It appears he confused hydrogen with other types of gases like methane and carbon dioxide. In 1766, hydrogen was detected in England in 1766 by H. or Henry Cavendish as a new gas. He demonstrated by using an acid action on iron, zinc or tin that an inflammable air could be produced. That is, the gas produced was capable of being set on fire. A person named A. L. Lavoisier in 1783 named this stuff "hydrogen". 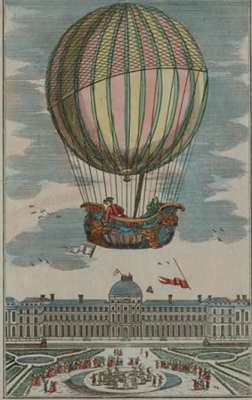 In 1783, Jacques Charles invented the first hydrogen balloon. Up until 1783, most notable experimenters of hydrogen used the term inflammable air to describe this gas as to hydrocarbons, hydrogen sulphite, carbon monoxide and other combustible gases including a guy named Priestley. The word hydrogen comes from the Greek word for "water forming." Watch a Video of Iceland's Hydrogen Economy! Watch a video of Boeing making aviation history by flying it's hydrogen fuel cell airplane with the only exhaust being water and heat. 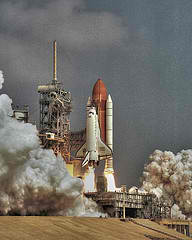 NASA (National Aeronautics and Space Administration) is the largest user of liquid hydrogen in the world. They are famous for the safe handling of hydrogen. Founded in 1958, NASA is in the USA and has added huge contributions to the history of hydrogen. Read more about the properties, uses and sources of Hydrogen Element. Below is a list of people that have contributed specifically to hydrogen and water-fuel technologies. If you know of anyone else that should be added to this list, please let me know. Also, please tell me what they are noted for, so we can share it here with others to enhance our knowledge on how to make hydrogen. As time permits, I will be researching each person and writing what they have contributed to the history of hydrogen. I promise to use it only to send you Making Hydrogen Newsletter. What's your Favorite Way of Making Hydrogen? At the end of the day, Making-Hydrogen.com is about how to create hydrogen from solar power to bacteria! What is the coolest way you have discovered in making hydrogen?